An old Greek village will be next place in the tour. 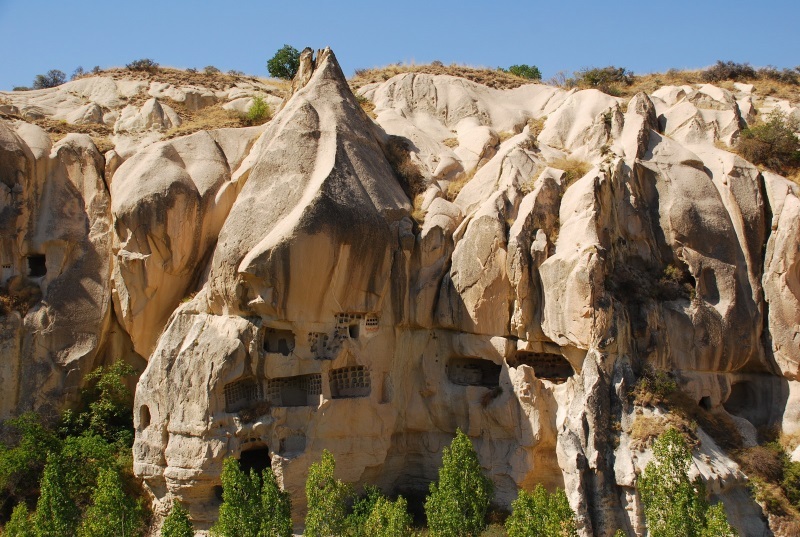 Çavusin is a village about 4 kilometers from Göreme .The old village is largely deserted because the area has been plagued by rock falls. At Çavusin you can visit the Church of John the Baptist which probably dates from the 5th century with paintings from the 6th, 7th and 8th centuries. The view of Rose Valley is excellent from this village. Since Hittites 2000 BC people could get the red clays (terra rosa) around Kızılırmak river which is the longest river of Turkey, and white clays ( caulin) from volcanic hills .They could use the clays for their daily lifes by shaping the clay by their hand on the spinning wheels.